Wedge wire basket also called as profile screen basket, HighTop stainless steel centrifuge wedge wire basket serve as lining for centrifuge manufacturers who require external support. 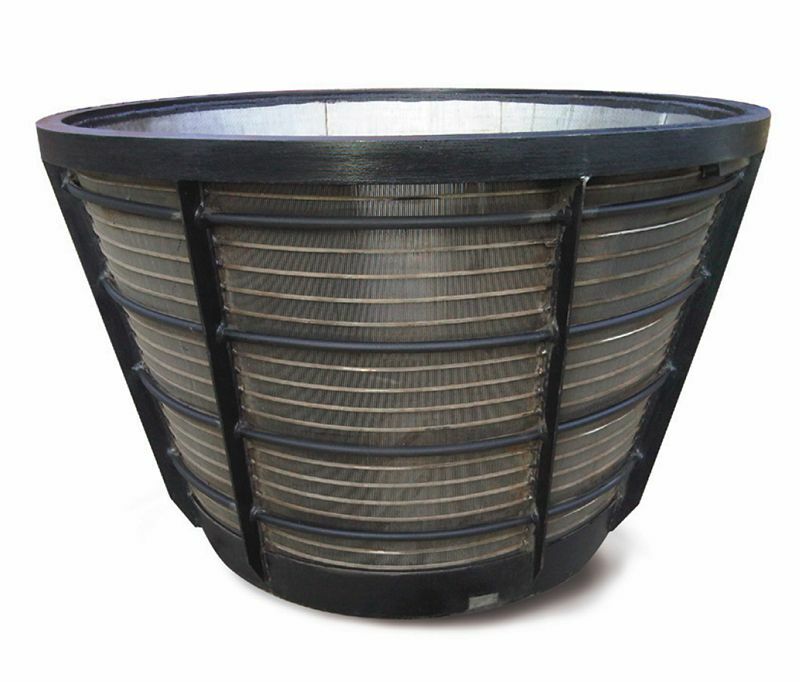 The baskets are stronger and can bear heavier loading pressure than other filter baskets available. An abrasive resistance coating may be used in preparation for the baskets. Conical or cylindrical baskets may also be tailor made upon the customer’s request. The wedge wire basket can also be equipped with flanges, reinforcements or special fittings to suit customer’s needs.